Meningococci are a type of bacteria that cause serious infections. The most common infection is meningitis, which is an inflammation of the thin tissue that surrounds the brain and spinal cord. Meningococci can also cause other problems, including a serious bloodstream infection called sepsis. In its early stages, you may have flu-like symptoms and a stiff neck. But the disease can progress quickly and can be fatal. Early diagnosis and treatment are extremely important. Lab tests on your blood and cerebrospinal fluid can tell if you have it. Treatment is with antibiotics. Since the infection spreads from person to person, family members may also need to be treated. 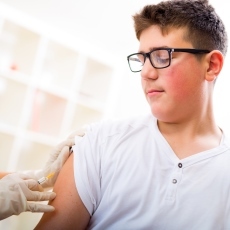 A vaccine can prevent meningococcal infections.